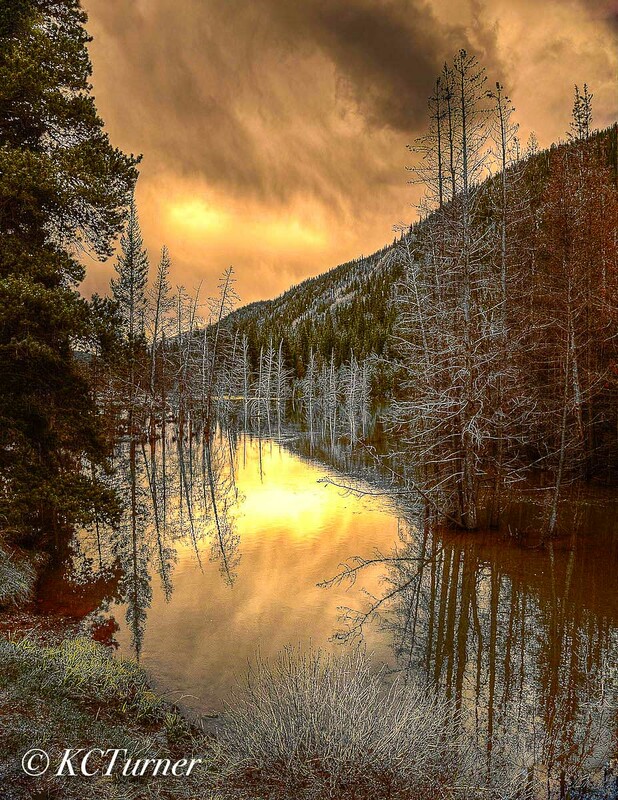 Just before packing up my photo shoot to avoid being drenched by the looming storm I captured this beautiful sunset reflection of a mountain pond. Moments after photographing this scenic landscape, nature let loose a torrential rain/hail/snow shower holding me hostage until the storm subsided. Photo © copyright by K.C. Turner.